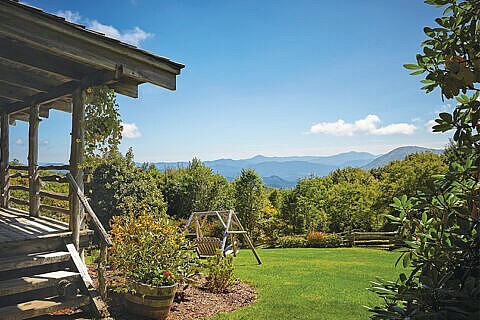 This exceptional North Carolina mountain escape has a balcony for guests to relax and enjoy the mountain view, a king size bed, steam shower and Jacuzzi. Bishop’s room is also equipped with a stone fireplace and spacious reading area. Room amenities include a wet bar, coffee maker, bean grinder and a small refrigerator stocked with soft drinks, trail mix and hiking bars. Bishop’s Room is close to everything, providing easy access to the main house.